Fits 1911 and clones with 3" up to 4" barrels. Ambidextrous holster for both right and left hand users. Sticky Holsters allow you to deploy and adjust your firearm in seconds. No bulky clips or straps to get in the way. Our lightweight holsters weigh less than 3 oz. and the closed-end design keeps lint and dust out, while keeping gun oil off of you. 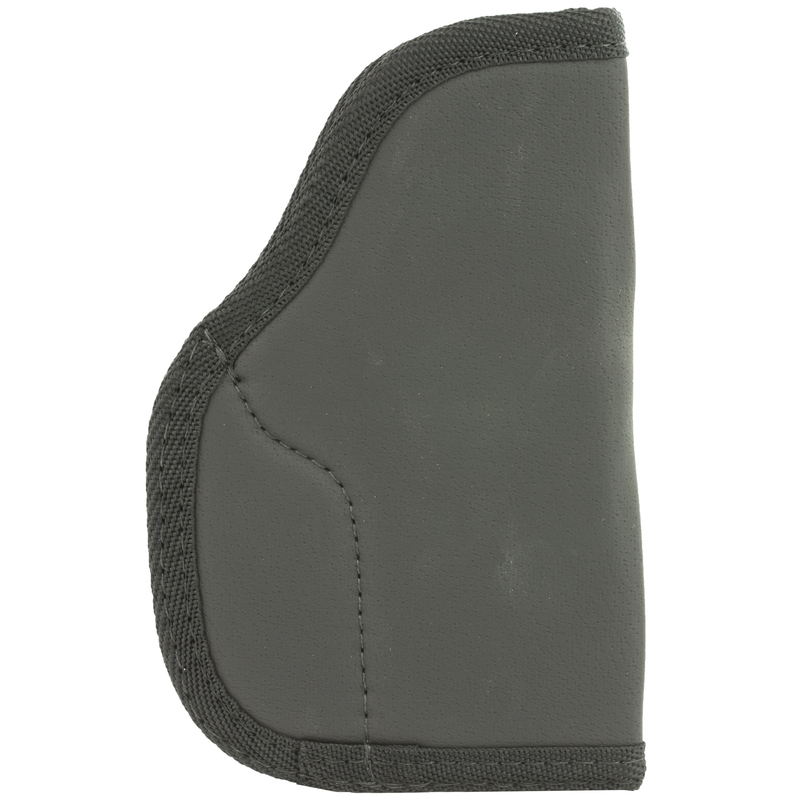 Body heat and use conforms holster to your gun, so your holster fit will continue to improve with use. Our original holsters are IWB (In the waist band) holsters. The smaller sizes also work well for in the pocket use. The construction of the holster uses the pressure from your clothing waistband to secure both the holster and the gun. They don’t come with clips or loops to secure it in place, as the outer “sticky” skin adheres to your waistband, undergarments and/or your skin. Since our inception, we have developed these holsters into a modular system, where you can use it IWB, in the pocket, on your ankle using our ankle rig and for police officers, on their tactical/armored vest, using our B.U.G. Pad. How does a Sticky Holster work? The outside skin is a super non-slip material that, with a little pressure, adheres to just about anything. That outer material combined with the inner closed-cell foam and the inner liner keep your pistol and the holster securely in place. In the pocket, it works like any other pocket holster. However, when you pull the gun, the outer layer grabs the inside of your pocket. Our modular products use the same “Sticky” material against itself to hold the holster and gun in place. 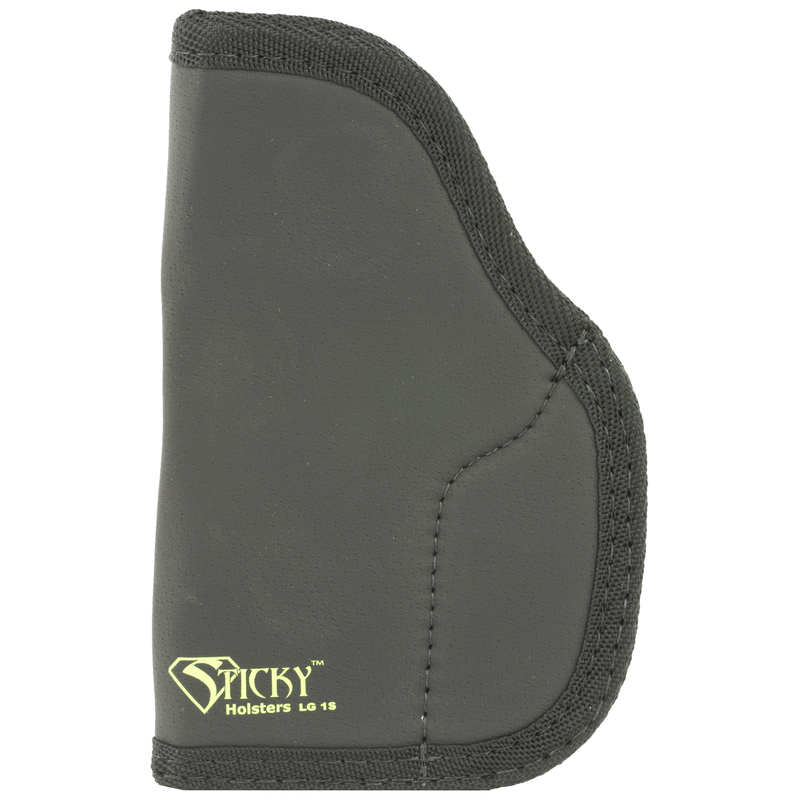 In addition, with use and body heat, your Sticky Holster will conform to your particular gun, making a custom fit. Sticky Holsters Intro from Sticky Holsters on Vimeo.